We are committed to giving back to our community and we have partnered with Habitat for Humanity in two ways. First, Landtec fully donates its time and services in the construction of new homes to help deserving families here in South Florida. Second, a portion of the proceeds from every survey ordered through Landtec is donated to Habitat to aid in helping with an even wider array of assistance available through Habitat. We would hope that all who work with Landtec embraces the knowledge that they are in turn helping to fight homelessness and poverty and enjoy sharing in the kindness of charity toward this end. Habitat’s Motto: Building our Community Together. Habitat for Humanity International (HFHI) is a not-for-profit, ecumenical Christian housing ministry. HFHI seeks to eliminate poverty housing and homelessness from the world, and to make decent shelter a matter of conscience and action. Habitat invites people of all backgrounds, races and religions to build houses together in partnership with families in need. Through volunteer labor and donations of money and materials, Habitat builds and rehabilitates simple, decent houses with the help of the homeowner (partner) families. Habitat houses are sold to partner families at no profit and financed with affordable loans. The homeowners' monthly mortgage payments are used to build more Habitat houses. Habitat for Humanity of Florida has an open-door policy; all who believe that everyone needs a decent, affordable place to live are welcome to help with the work, regardless of race, religion, age, gender, political views or any of the other distinctions that too often divide people. In short, Habitat welcomes volunteers and supporters from all backgrounds and also serves people in need of decent housing regardless of race or religion. As a matter of policy, Habitat for Humanity International and its affiliated organizations do not proselytize. This means that Habitat will not offer assistance on the expressed or implied condition that people must either adhere to or convert to a particular faith, or listen and respond to messaging designed to induce conversion to a particular faith. Habitat is not a giveaway program. 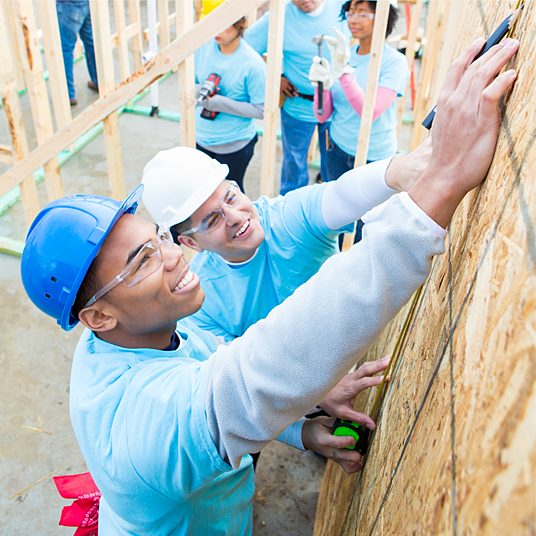 In addition to a down payment and the monthly mortgage payments, homeowners invest a minimum of 300 hours of their own labor — sweat equity — into building their Habitat house and the houses of others. Habitat's funding comes from financial and in-kind contributions from businesses, churches, foundations, community groups and individuals. Funds also come from homeowner mortgage payments and fundraising events. Grants are funded through the federal, state, county and city government.